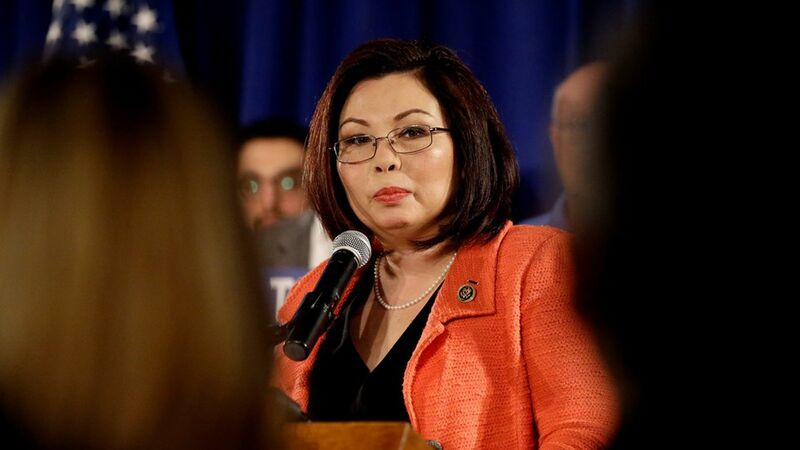 The death of 4 U.S. servicemembers in Niger "woke a few of my colleagues up," Senator Tammy Duckworth, an Iraq-war veteran, says as she presses Congress to take up a new authorization of military force in the fight against terrorism. She says Congress is "afraid" to take it up because of possible political backlash. "People don't want to be put on the record for this." Why it matters: No specific authorizations for the use of military force (AUMF) have been enacted except for the one passed in the wake of the Sept. 11 terrorist attacks and a separate 2002 vote authorizing military actions in Iraq. Defense Secretary Mattis and Secretary of State Rex Tillerson are appearing before the Senate Foreign Relations Committee later today to talk about a new authorization. What kinds of bounds (country, regional, or territorial) should be included. Characteristics of mission parameters such as specifics telling the military "what they're doing, why they're doing it, and how long they're going to be doing it for." Renewal timing and how the earlier authorization can be ended. Some Senators have called for a 5-year authorization, but Duckworth says the issue should be revisited every 2 years. Enforcement. "How would there be a move against a president who violated the AUMF? Should there be resolutions of approval or disapproval? Or is it just a slap on the wrist?" "People think that [authorizations are] an attempt to restrain a president and, in particular, Donald Trump, and it's not. It's about the legislative branch being a coequal branch of government … and for too long we have not done our job," Sen. Duckworth said.